Gettle’s team of experienced engineers, programmers and system integrators use the latest technology in hardware and software platforms to deliver efficient automation solutions. We work with a variety of industrial partners and understand equipment, software and manufacturing systems from the inside out. 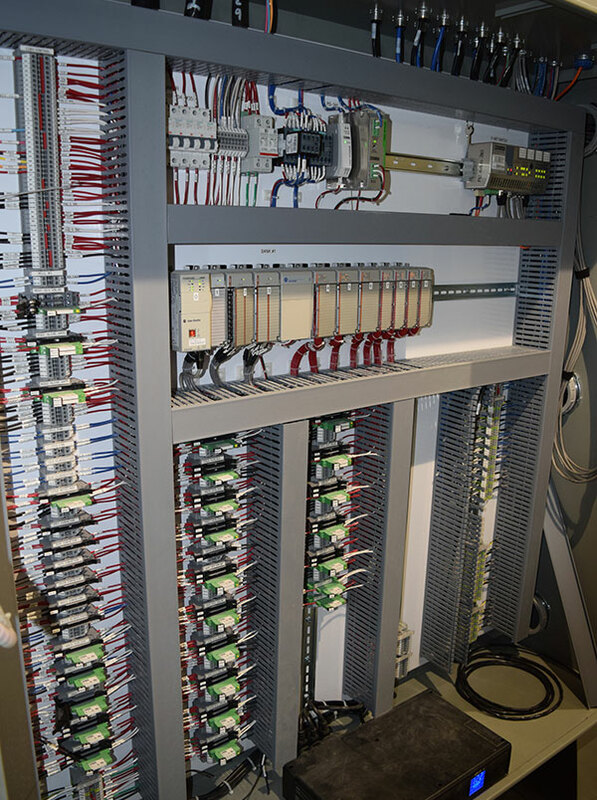 We employ best-practice design principles to construct high-performing control system integrators that maximize efficiency while keeping costs in check. We maintain relationships with top industry suppliers and invest in education as well as research and development to ensure our clients receive the best possible solution for their automation needs. Our in-house UL-listed panel fabrication shop provides complete panel fabrication services including custom I.D. engraving for all of our client’s labeling needs and allows components to be built and tested prior to arrival to minimize downtime. Our multi-service capabilities ensure automation processes are integrated with other plant systems including electrical and data. Reach out today to learn more about Gettle’s system integration for automation systems solutions and how our team combines decades of industry experience with today’s top technology to deliver reliable, user-friendly systems that will give your business a competitive edge.